English: Didactic model of a human embryonic development. Establishment of the shape of the embryo on display at the Museum of Veterinary Anatomy, FMVZ USP. Dieses Bild ist nach den Kriterien für wertvolle Bilder beurteilt worden und gilt als das hochwertigste auf Commons im Bereich: Teaching model representing establishment of the shape of the human embryo.. 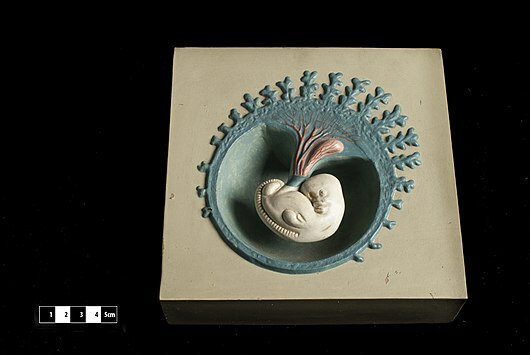 Die Nominierung des Bildes ist nachzulesen unter Commons:Kandidaturen hochwertiger Bilder/Didactic model of a human embryonic development 02.jpg.